If you are located in the south, you are now experiencing wintertime, but I guess many of you still had the chance to take some days off. Europe has in many places experienced the warmest summer for decades. Stockholm, where I reside, has experienced a ‘real’ summer since mid-May, and the country as a whole has been experiencing the warmest and driest summer in 100 years. This has meant we have had huge problems with wild fires this year, with many millions of Euros of damage being done. Sweden has, luckily, been receiving a lot for support from other countries within the European Union. A large number of efficient water bombing airplanes has been sent to Sweden, with all the fires being extinguished. We have had some badly needed rain, even though this has been barely enough, and it is still very warm for the time of year. In other corners of the world, people are suffering from tremendous storms and floods that are destroying everything in its way. I ask myself, ‘what is going on? Is this normal? Has this happened before over the time?’ If we are to believe Trump, he thinks what we are seeing is cyclic and has happened before. I don’t think so, although I know nothing about weather changes and green house effects. Things are not right with our weather. I love warm weather and sun, but when it is a question of our planet’s well-being I prefer normal, somewhat wet, and a little bit chilly Swedish summer. We, the global community, are already very much behind the schedule to break the development of the greenhouse effect. We are thus seeing more and more signs of that our world is changing rapidly, and this is not just that the ice is melting at the poles. When species of birds that normally roost in the south of Europe suddenly show up here in Sweden, and when giant squid show up in the water outside Gothenburg, far from their natural habitat in the seas around the coast of Africa, something is wrong. I would love it that someone could guarantee that this is cyclic, and what is happening is completely normal. But I believe that is not going to happen. However, there are positive results from the greenhouse effect. For us living near the Poles, we have gained a warmer climate, more sun and more pleasant winters. Our construction firms now actually can work outside through the whole winter, and that is quite rare! The last winter was very positive as the Swedish construction market boomed, and to some extent, still is. 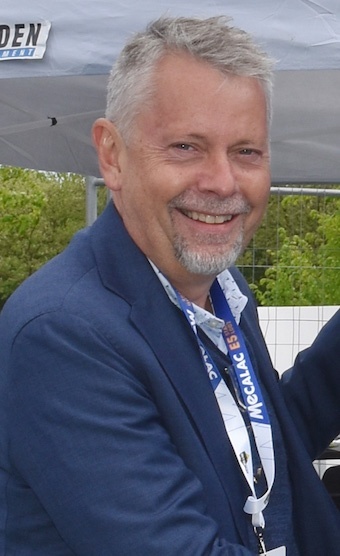 I’ll leave the greenhouse effect for a while: before writing this column, I went to a meeting organised by the German-Swedish Chamber of Commerce concerning the upcoming Bauma next year. In the press meeting, Messe München GmbH, chairman and CEO, Klaus Dittrich, and VDMA chairman and CEO of GEDA-Dechentreiter, Johann Sailer attended. The two informed the attendees that things looked very promising for the 36th German trade show. The interest among the world’s manufacturers is higher than ever, with a long waiting list of companies that would like to exhibit. To make room for even more exhibitors the organiser, Messe München, has again managed to extend the exhibition area with two new halls, and more outside exhibition area, resulting in some 9,000m2 of exhibition space being added. The total exhibition area will be 614,000m2, with some 600,000 visitors being expected over the seven exhibition days. 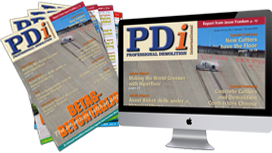 Starting with next issue of PDi Magazine, we will begin to publish previews of Bauma 2019 up until our large and extended show issue, PDi 2-2019.